Feel free to ask any questions regarding engagement parties! I hear that taking photos as a hostess at engagement parties can be challenging. Would someone please send tips or share ? Does anyone have tips for picking a music band? It's taking me really long to get the string quartet Also, if the time on the party planner runs out, does my choice of music reset (do I have to pick another one?) ? Thanks. Quinz: "taking photos as a hostess at engagement parties"
To set the scene for the picture you have interface similar to your apartment. Guests are sorted first by attendance (logged on or off) and then by their level from high to low. If you have large number of guests and get lots of requests this can literly hurt your fingers (ouch). Post in advance in your invitation and/or profile that photos will be taken after missions are done (or during long missions). Try 1st to take one picture of each guest by their sorting. Only when done and feel like it accept requests for combinations. Of course you can take your friends photos 1st. Try to get a photo of each guest else they get disappointed. Trinity Starling: "tips for picking a music band"
Pick the same spot each try. The 1st band is very hard to get. But once you got your selected band, you can continue with other mission and while waiting for those mission can select another band. Getting the next band is easier because you have less to choose from. at the end you can end with all band. 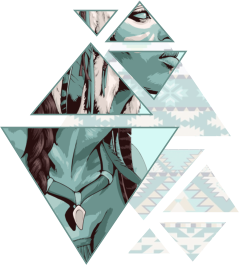 Last edited by uv10 on 14 Nov 2018, 14:12, edited 1 time in total. What does it mean when it says, “ valid until March 21st...” ? I thought you could expand your place whenever you wanted. I am still on the musician mission, I am saving money for a bigger place but then this message shows up and I am freaking out. I don’t want only 10 people at my party. I think that's your Planner timer maybe? Or you may have had a discount for the venues? No I checked my planner too, she will be staying for another 15 more days. I didn’t know there was a discount for this kind of thing, it’s something they would have told through the announcements I believe. I just hope I have more time to rent a bigger place cause the one I have now is for 10 people only! Thank you Waxi for your response! I appreciate it. I’ll let you know what happens afterwards. Hey! Saw your post and for curiosity did a search online for LP engagement parties. Unless something has changed since the person posted it, it seems it is a special offer to give you more guests for the price you are paying. You can see in the above picture the cost of renting a place for your party with the number of guests you can accommodate. Oops. Just noticed the date. Guess it's too late. Sorry! Hi VictorsSecret thank you for your response. I also remember when they had unlimited for only 100 diamonds, now it costs so much more! Anyways, I sent the feedback team a message and they told me to just disregard the “valid until March 21st..” message. 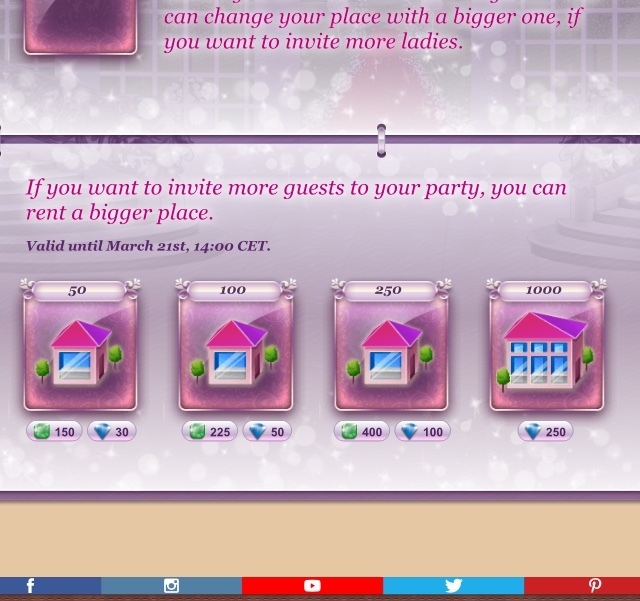 That’s good news, but the engagement party changes are just terrible, 250 diamonds for 1000 guests? They raised the costs so high, I hope it’s a temporary thing.